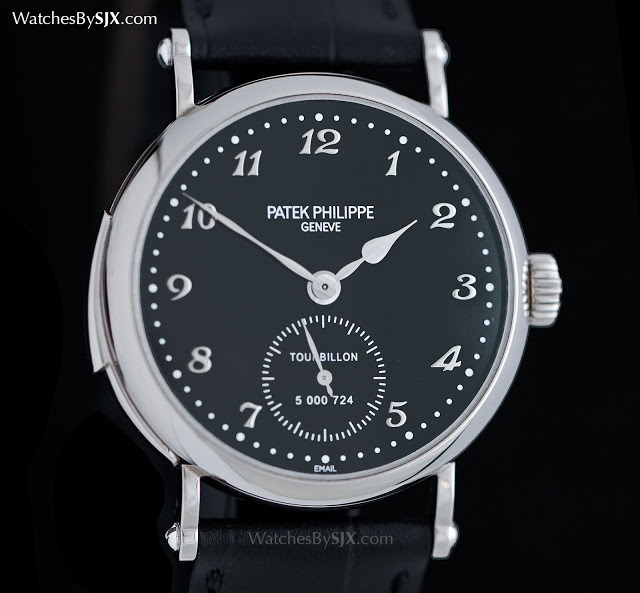 Unassumingly plain with a black enamel dial and spade hands, the Patek Philippe Ref. 5539G is an entry level watch of sorts, being the simplest hand-wound minute repeating wristwatch in the collection. 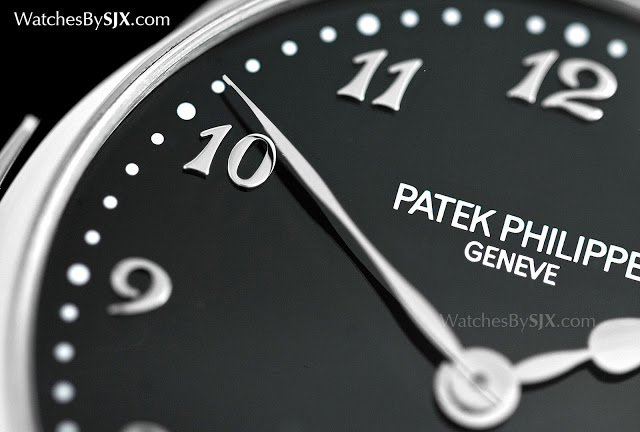 Introduced two years ago at Baselworld 2013, the Patek Philippe Ref. 5539G is a minute repeater with tourbillon, an exceptionally complex and fine watch that is also unpretentious. It’s the spiritual successor of the Ref. 3939 launched in 1992, equipped with the same calibre R TO 27 PS. 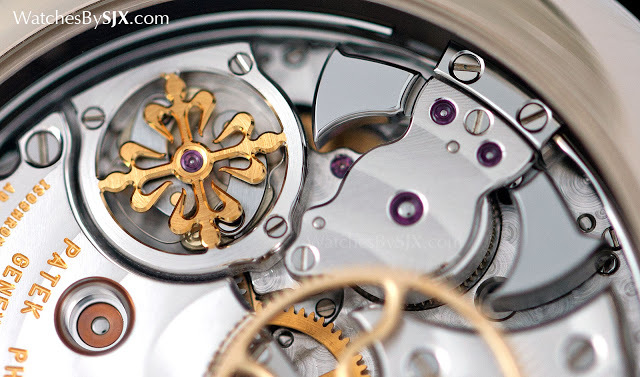 The letters in the calibre name reveal all its functions: Répétition, Tourbillon and Petite Seconde. By modern standards it’s a smallish movement, just 28mm in diameter but full sized at the time of its introduction 23 years ago. The same calibre with the addition of a perpetual calendar was found in the Patek Philippe Ref. 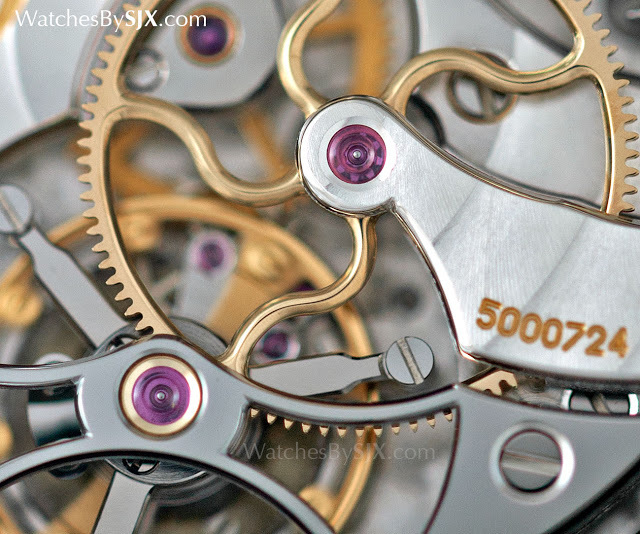 5016, unveiled at the same time and the firm’s most complicated wristwatch for many years (that has now been succeeded by the Ref. 5207P). Comprised of 336 parts, it’s manually wound with a one minute tourbillon regulator and a minute repeater. The signature feature of the movement is the third wheel in hardened solid gold with gently curved spokes that are exquisitely rounded and polished. From the front the watch is visually plain, but the dial is far from simple. It’s made of an 18k gold disc covered with fired black enamel. Each of the applied hour numerals is 18k gold as well. 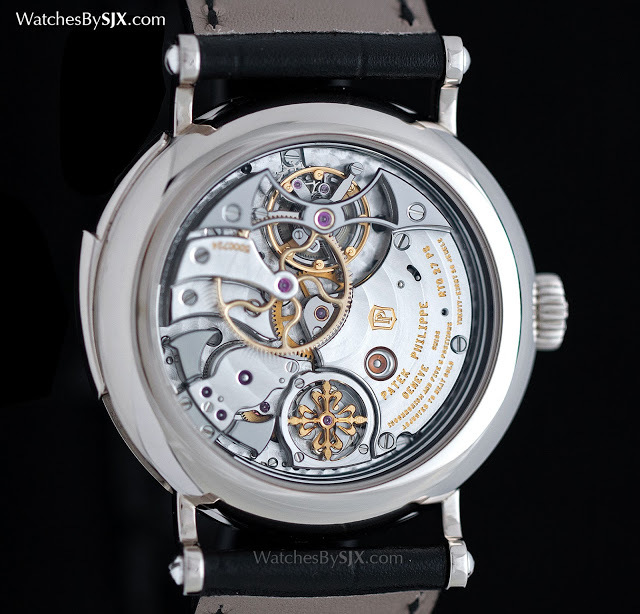 The white gold case is 37mm in diameter, giant compared to the 33mm of the its predecessor Ref. 3939 but modest on the wrist. Like all of Patek Philippe’s other minute repeaters, the case is dust and humidity resistant, but not water resistant, in order to achieve the best sound since sealing the case dampens the chimes. The Ref. 5539G-001 retails for approximately €400,000, or about US$450,000.